The American Language and Culture Institute, located on the campus of California State University, Chico, offers five sessions of intensive English language instruction per year to international students of all proficiency levels, from beginning to advanced. 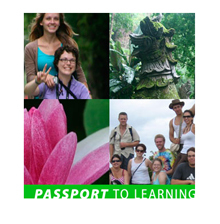 Passport to Learning offers Chico State students the opportunity to travel and learn in unique, short term, faculty-led study abroad programs offered during January and summer. Developed by dedicated faculty and designed to enhance your educational experience, these programs are exciting ways to experience the language, culture, and people of the host country while earning credit toward your degree. Regional & Continuing Education (RCE) offers customized study abroad opportunities that combine academic programs with cross-cultural experiences, social activities, and field trips designed to enhance the study abroad experience. 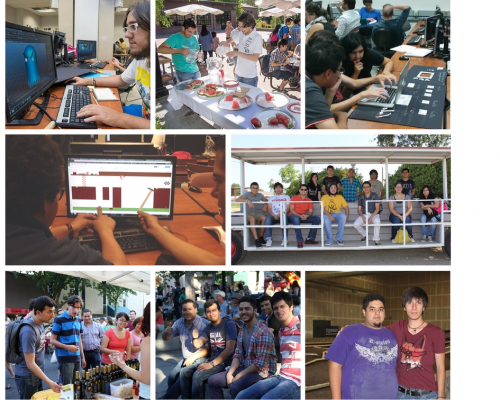 Most recently, RCE welcomed students from Tecnológico de Monterrey for a four week program that featured coursework in applied computer graphics, tours of local business, and a wide variety of social activities that showcased the recreational and cultural resources of northern California. If you are interested in a program for your group or organization, please email Regional & Continuing Education. RCE’s ALCI English language program includes an emphasis on purposeful engagement across cultures through a variety of workshops and activities. The expertise of ALCI faculty and staff combined with the cultural resources of Chico and northern California create an exceptional resource for cross-cultural learning experiences for international students and adult professionals alike. RCE’s experience in custom designed professional development programs, such as the Local Government Leadership Institute and the Localization Certification Program, ensures students and professional clients from across the globe will have an extraordinary learning abroad experience that is culturally rich and tailored to foster cross-cultural competency. If you are interested in a program for your group or organization, please email Regional & Continuing Education.